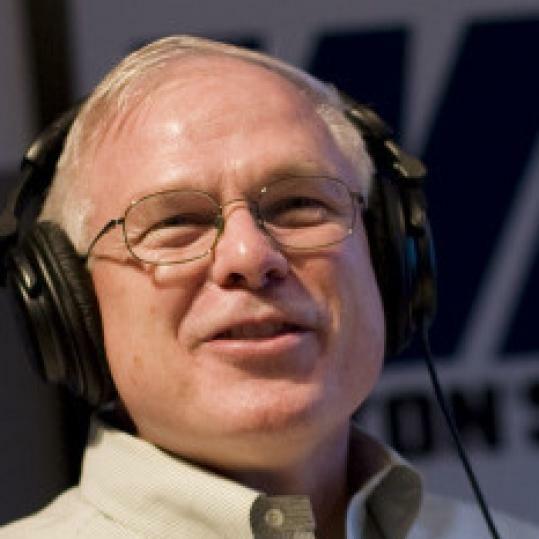 Herald columnist Howie Carr, who had Scott Brown on his WRKO radio show several times in the days leading up to January’s special election, is now hitting the road on behalf of Republicans. The conservative yakker is the headliner of a $50-a-person fund-raiser for the New Hampshire Republican State Committee. Called “Hamburgers With Howie,’’ the July 31 event is being held at a residence in Nashua that happens to be the onetime home of Francis P. Murphy, the Granite State’s governor from 1937 to 1941. (Don’t tell Howie, but Murphy was a Republican who later became a Democrat.) While it’s true Carr proudly wears his right-wing politics on his sleeve, it’s unusual for a working journalist to lend his name so explicitly to a political event. “I suspect [Carr] would say he criticizes Republicans, too, but doing something like this isn’t what I consider objective journalism,’’ said Alex Jones, the Laurence M. Lombard Lecturer on the Press and Public Policy at Harvard’s Shorenstein Center. “But I don’t think he thinks he’s in the objective journalism business.’’ Tom Fiedler, dean of BU’s College of Communication, noted: “You cannot call yourself a journalist — even as a columnist — and actively support a political party. It strikes me that the Herald should now report Carr’s salary to the Federal Election Commission as a contribution to the GOP.’’ We wondered what Howie would say, but he didn’t call us back yesterday, and neither did his bosses at the Herald. Millionaire moguls are gathered in Sun Valley for the Allen & Company media retreat, an annual schmoozefest for communications kahunas. The cast of characters, whose net worth is unimaginable, includes Rupert Murdoch, Henry Kravis, Warren Buffett, and Medford native Michael Bloomberg. The crowd also includes Walt Disney CEO Bob Iger, Barry Diller, and new media titans from LinkedIn, Zynga, Google, and Facebook founder and former Harvard student Mark Zuckerberg. The World’s Greatest University was also represented by Maxine Isaacs, Walter Mondale’s onetime press secretary who’s now an adjunct professor at the Kennedy School. Homeboy Ben Affleck is among several celebs who’ll be featured in a video tribute to People magazine’s “All-Stars Among Us’’ winners before next week’s Major League Baseball All-Star Game. Affleck, Sheryl Crow, Harrison Ford, Salma Hayek, Matthew McConaughey, Julia Roberts, and Charlize Theron all appear in the video, which will air during the pre-game ceremony. The winners were chosen for their “selfless acts of giving and service to their communities.’’ Affleck is paying tribute to Ruthe Rosen, who cofounded the Let It Be Foundation to honor her daughter, who died of an inoperable brain tumor. The Foundation helps Chino Valley children and families battling life-threatening illnesses. Avery Klein-Cloud, the subject of the documentary “Off and Running,’’ and Daniel Bernard Roumain, the film’s composer, were at a screening of the movie last night at the Coolidge Corner Theatre. The film, which was put on by the Roxbury Film Festival and the Boston Jewish Film Festival, is about a Jewish lesbian couple and their adopted daughter who goes off to find her birth mother. The two planned to stick around for audience questions. Melrose resident Sally Dawson, 27, will be featured on the second season of the Discovery Channel’s “The Colony.’’ The Cormac McCarthy-ish reality show tests regular people to see if they can survive a global catastrophe. Dawson, who’s described by the Discovery Channel as a home-schooled auto shop owner, will have to work with other participants to survive in a wasteland without water, electricity, or government. The show starts July 27. Based on this picture of Dawson, we think she’ll do pretty well for herself, post-apocalypse.